Zinedine Zidane has been warned by pundit Craig Burley about the big challenge of agreeing to take the Manchester United job and suggests he should look at the situation at Bayern Munich instead. The French tactician has been linked with a number of jobs since stepping down at Real Madrid in the summer, having been a huge success in a short time at the Bernabeu. 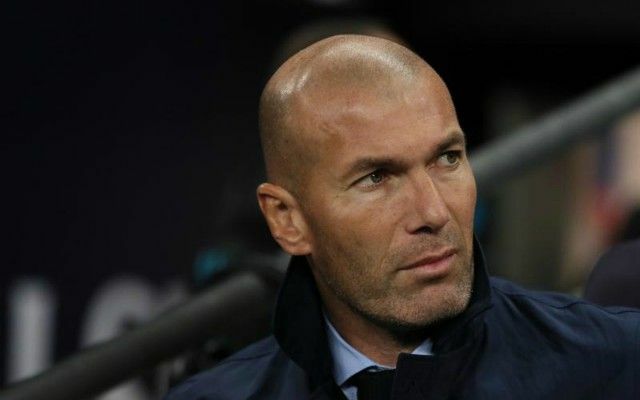 Remarkably, in less than three full seasons – his first in senior management – Zidane won three Champions League finals in a row with Los Blancos, as well as one La Liga title. It is therefore unsurprising that Zidane’s name has repeatedly come up as a possible option for United this season after their poor recent form under Jose Mourinho. The Sun recently reported Mourinho is concerned about his club’s possible interest in Zidane, but Burley has given the 46-year-old reasons to think twice about taking any offer that comes from Old Trafford. ‘Bayern Munich under Kovac are struggling at the moment,’ Burley said on ESPN FC, as quoted in the Daily Star. ‘We know Mourinho is under the cosh at United. That doesn’t look like it’s going to end well for him. ‘If we take Bayern Munich and Man United. What is the easier of the two jobs? Neither of them are easy jobs. ‘Bayern Munich is the easier of the two jobs. It will be easier to get Bayern Munich up and running and back to the top of the Bundesliga than it would getting Man United up and running and back to the top of the Premier League. ‘If he wants the United job if and when it comes available, he’s going to have to hunker down for a tough one because he’s got City to overturn, he’s potentially got Liverpool who are flying and he’s got Chelsea under Sarri who look quite strong. ‘That’s a huge job, that’s a massive, massive job.